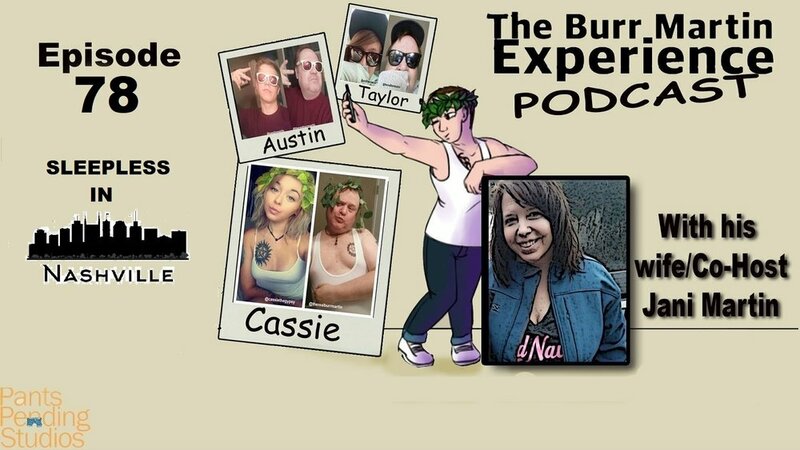 If you're going to listen to an episode of the Burr Martin Experience, this is the one! We talk about me and my daughters trip to Nashville for a commercial ad photoshoot, Taylor pops in to tell me about some rappers that I'm pretty sure she made up the names to, I don't know what albums are, how mad do you have to be to bite through a mans thumb, multiple dog farts, the Facebook Question about your Favorite Rom-Com and then I tear apart some bumper sticker logic from one of those "Fwd this to your friend" emails about racism, which we delve into pretty deep. So deep in fact, I thought about editing it, but then decided, no, its only fair to leave it in, so I present to you the unedited version of my vision of the World and how we should be.